Formerly, a 4th grade teacher with a goal of making learning engaging, relevant, and interactive for my students. Currently, I'm an ITRT (aka Instructional Technology Resource Teacher/Instructional Technology Coach), working with teachers to take their teaching to the next level. Take a look at my classroom. What do you notice? It all started at my end of year conference with my principal last year. After discussing how my first year went, she asked me if I wanted anything else for my classroom. On a whim, I said, "I would really like to try yoga balls as chairs." She thought it would be a good idea and said she would look into how to get that accomplished. Now, I am a man of action and do not like to wait for things. Numerous colleagues, personal friends, and students can attest to this. That evening, I hopped on eBay to see how much yoga balls were. I saw I could buy a lot of 10 for $90. It seemed reasonable to me, so I ordered them. While I was waiting on them to arrive, I brought in two yoga balls I already had at my house and gave them to two students to use. 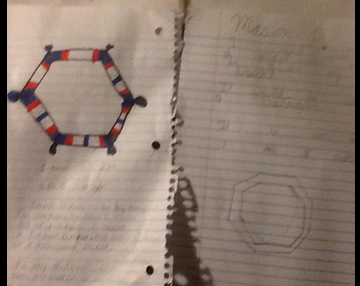 I chose these two students specifically because they had a hard time focusing, due to built up energy and ADHD. The effect was immediate. They could bounce around to let out energy and maintain focus. The other students were jealous and wanted their own. You can imagine their delight when I told them more were on the way! If your bottom comes off the ball, you come off the ball. This year, I decided I wanted a full class set of yoga balls. Again, being a man of action, I decided to start a fundraising page on peerbackers.com to meet the goal. I set the goal of $400 to cover the original cost, cost for new balls, shipping, peerbacker/PayPal fees, and assorted other costs. The project went well and I raised about $250 in the first three weeks. As momentum was dying down on the fundraising, I reached out to local newspapers and yoga ball companies to help spread the word. Of the newspapers/companies I contacted, The Northern Virginia Daily and Gaiam Yoga Ball Company responded to me. The NVD came into my classroom, interviewed some of my students and me, took pictures, and featured us on the front page of the paper. You can read the article here. My email to yoga ball companies. Click to enlarge. I received an email from Gaiam's Vice President of Human Resources, Jacki Abraham, asking for an address and how many yoga balls I needed. I gave them the school's address and that we needed 11 more, but I said even two would be a great donation. A few days later, I was paged to the office. There was a large box addressed to me from Gaiam. I opened it up, and there were six balls inside! I was floored. The next day, five more arrived! Gaiam had totally covered the entire amount of balls we needed. We were very appreciative and wrote them thank you notes. We also filmed a Thank You video message to them on YouTube. I was also successful in raising all the money on peerbackers.com, which allowed me to use the money for extra balls and other classroom improvements. All the yoga balls belong to me, so they will be able to travel with me whenever I leave my current job. I also lend them out to other classrooms for them to use. Yoga balls have had a great effect on the students' enthusiasm for school. It allows them to get pent-up energy out in a way that is not too terribly distracting. My classroom is very active and we are not at our seats often. This helps them to still move at the time we are at our seats. Some other teachers in the building are highly distracted and annoyed by their bouncing, but it doesn't bother me. At the end of the day, school is for the students. motivational tool. Students can lose their ball depending on their choices, and earn it back after a few days or weeks by proving they can handle it. Generally, I start them all fresh with a ball at the beginning of every quarter. Some students have also popped their balls, in which case they can earn one back once their parents replace it. I would definitely advocate for using yoga balls in place of chairs. I polled my former students how not having them has affected them in fifth grade. Many of them indicated it was hard to focus now and they weren't as engaged in class or comfortable. My current students definitely think it is a fun way to sit and it keeps them on task. I have heard third graders say they want to have me so they can sit on the yoga balls. I will admit, for the first two weeks the students are very "bounce-happy." The novelty wears off after about two weeks, and then it becomes the norm. It allows the students to move, which is something all students need. Have you ever tried yoga balls in your classroom? What was your take on it? "Social media is the ultimate equalizer. It gives a voice and a platform to anyone willing to engage." I am relatively new to the teaching profession (only two years of full time teaching) and I was already feeling burnt out. With no hesitation, I will be the first to admit it. It's not that I didn't like working with students; that part has always been my highlight. It was more the fact that when I started at my school, I had just turned 22, fresh out of college, single, and a male teacher. Conversely, the majority of the teachers at my school had been teaching for many years, were female, married, and had kids (some of which were my age.) We also differed greatly on instructional methods. Aside from a few key connections, I honestly felt out of place. Here I was starting my career and life, and my colleagues were already established in teaching and life and generally set in their ways of teaching. This post is not meant to slam my colleagues. I have high respect for them and do not wish to discredit their successes. The focal point is that I felt like I was an island in a large sea. I persevered, but honestly, I was exhausted. One evening, I was texting my longtime friend and fellow educator Jennifer Guido (@missguidoedu.) Sharing many of my frustrations, she asked if I had used Twitter for professional purposes. I had used it to try to raise donations for a fundraiser I did, but not much else. She told me to get on and try it! Oh. My. Goodness. Did that change things. I was hooked from the moment I jumped into a chat (I believe #tlap was my first.) It didn't matter to others that I was younger and more inexperienced. My opinions were valued and I engaged in lots of great discussions with like minded individuals. I was hooked. For the next week or so, I attended nearly every chat possible: #satchat, #satchatwc, #sunchat, #read4fun, #whatisschool, #sschat, #ecet2, #chatttechchat, #1to1techat, #tlap, #sstlap, #ptchat, #tmchat, #weirded, #BFC530 and many more. It was overwhelming at first, and I have since learned to prioritize and jump into topics that apply best to me. The great thing about social media is the bonds you can make. While I have not met many (if any) of my followers, I feel like I've known some of them for quite some time. We have been able to connect professionally and personally. The first person who really reached out to me was Barry Saide (@barrykid1.) In the #ecet2 chat on Sunday evening, he mentioned his Voxer handle and I jumped on it. We now Vox nearly daily, sometimes including our classes. I greatly value his opinion on many issues and he seems to do the same. When I mentioned casually that I had only been teaching 2 years, he said he was shocked and I handled myself well. This goes to prove the above quote. In my school, one of my closest teaching and personal friends is Mrs. Burke. You can imagine my surprise when I found Rosy Burke (@rosy_burke) on Twitter. Although she lacks in the literacy department (she's never read Harry Potter,) she and I have connected through Voxer as well. Our class affectionately calls her Ms. Vox Burke and our respective classes Vox back and forth daily. My class eagerly asks me to check my phone from her class! Apparently some of my mannerisms have made the jump to her class! With Rosy, I have also connected with a number of funny, yet insightful, teachers, including Mari Venturino (@MsVenturino,) Stacy Lindes (@iruntech,) and Greg Bagby (@gregbagby.) I suppose that this long winded post really is #justinsfault. was ranting about the irrelevance of some math standards, she challenged me to find the relevance in all standards. She showed me some nonagon bracelets and asked that I share them with my class. They were able to see why they were nonagons and deepened their connection. She has now been deemed "the nonagon lady from Twitter," and continues to provide challenges for my class. Looking forward to her next one! Tamara Letter (@HCPSTinyTech) is also a frequent Voxer. She, too, lives in Virginia, so she and I have the ability to discuss issues that impact Virginia's education. We see eye-to-eye on many matters and also respectfully agree to disagree on some matters. She also gives me an inside look at the life of an ITRT (my eventual career goal) and keeps the conversation lively! 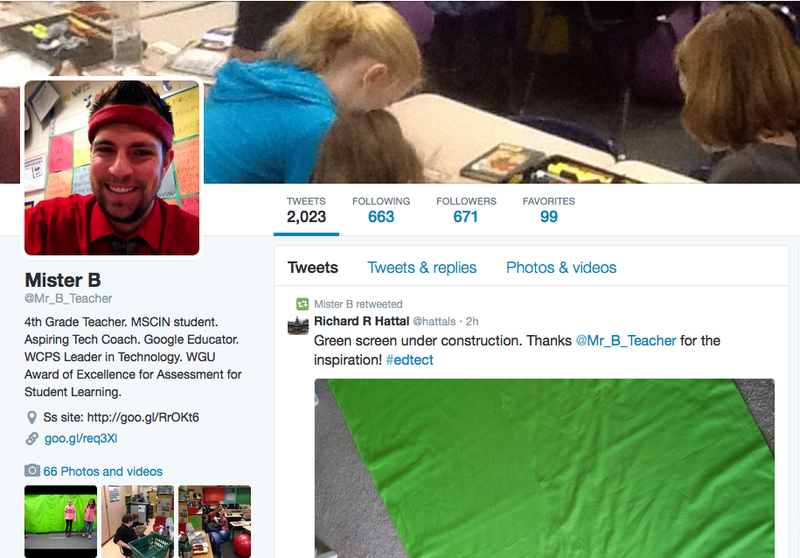 Richard Hattal (@hattals) and his class have also made a large impact on my teaching. He also teaches fourth grade, but in Florida. In a chat one evening, we both mentioned that we were teaching about Reconstruction, and decided to do a Google Hangout with our classes to compare and contrast Virginia and Florida's roles in Reconstruction. We expanded this recently to play Mystery Person (Guess Who) with Famous Floridians and Virginians. They may have won the first round, but I have high hopes for my class next time. Richard and I managed to convince another teacher (coincidentally Mr. B also) to join us. 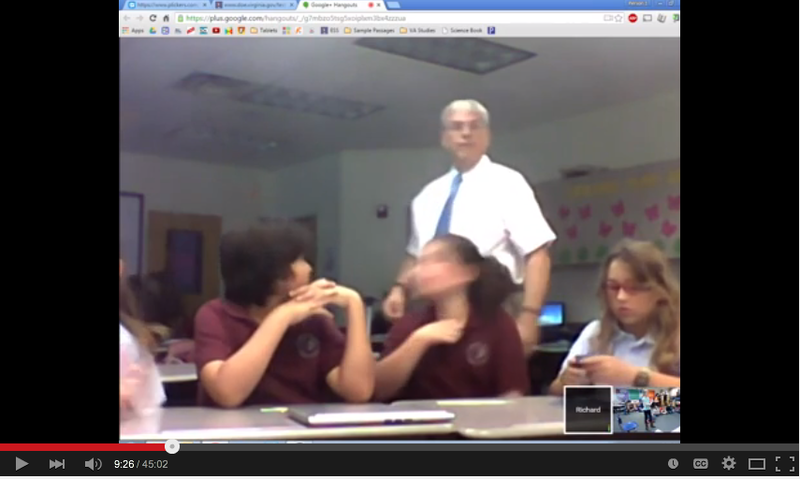 Wouldn't it be funny if Mr. B, Mr. Florida B, Mrs. Burke and Ms. Vox Burke all did a Hangout? 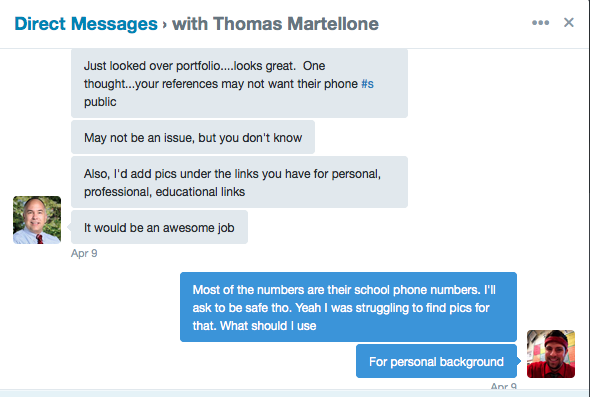 Finally, Thomas Martellone (@TomMartellone) has made a huge impact on my teaching career. While in an informal chat about including QR codes on resumes, he suggested that I create a digital portfolio and include that too. I thought it was a great idea and planned to work on it over the summer. However, I was contacted to interview with a new district and decided to create the digital portfolio on the spot. I reached out to Thomas and he guided me along the process, checking for errors, and providing quality feedback. I appreciated his efforts, even though it was not his duty to help me. He has also agreed to read to my class on his Spring Break this week! This is not an exhaustive list of my PLN, although it may have been exhausting to read! It was hard to narrow the scope of this post because there are so many great educators out there. I will see something during the day and think to myself, "Oh I have to tell so and so this," or "I bet so and so would like this." Many of my free moments are spent on Twitter connecting with other educators and furthering my abilities. I will boldly say that Twitter/Voxer have revitalized love for my teaching and innovated my instruction. It has given me a voice to share my opinions and ideas and a channel to receive suggestions and ideas. My students have directly (by connecting with other students worldwide) and indirectly benefited from my use of social media and I have grown as a professional. It may seem silly to say that since I have not been in education long, but it has had a huge impact on my career. I appreciate each and every connection I have made on Twitter/Voxer. What about you, anonymous blog reader? Has social media impacted your profession? Have I had an impact through social media on you and your teaching? I'm always happy to connect with anyone. Share your thoughts below! And thus sets the stage for the Battle of Front Royal Driving Tour, an annual event hosted by me with my fourth grade students. The idea came to me in November of my first year teaching. One of my cooperating teachers, Bob, was down visiting me and we were completing the tour ourselves. Bob had always hosted Saturday field trips while I was in his classroom, and I said he should come down in the spring and lead a trip with class. Bob turned to me and said, "Justin, it's your my classroom. I will come down and watch YOU lead the trip." I accepted his challenge and began putting more work into the idea. 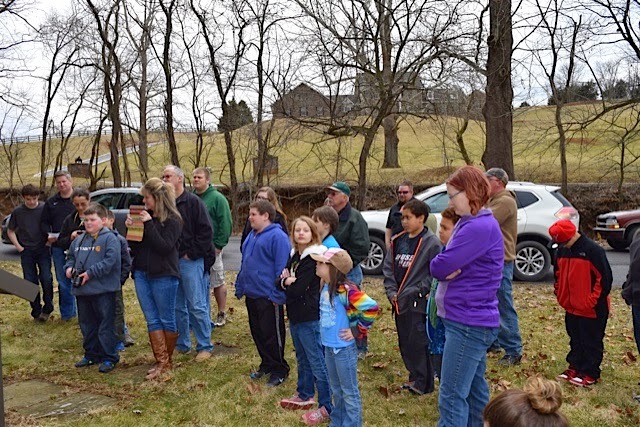 The Battle of Front Royal Driving Tour would perfectly coincide with our Civil War unit in the spring. The Tour is 16-miles long, with ten different stops. 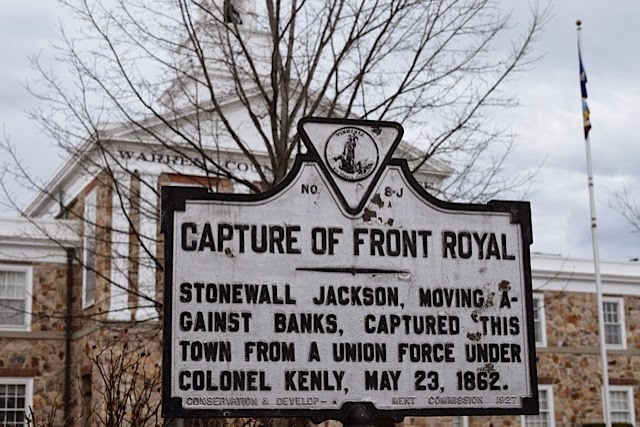 These ten stops include Ashbury Chapel (where Stonewall was told of a secret route into town,) Rocky Road (hasn't been changed since 1862,) Prospect Hill Cemetery (where the artillery was placed,) the Bridges (where Union force unsuccessfully tried to destroy bridges as they retreated,) Fairfew (the final stand,) and more. It chronicles the perilous day of the Battle of Front Royal, which included spies, brother literally fighting brother, and urban warfare. One of the primary focal points in fourth grade is the Civil War. 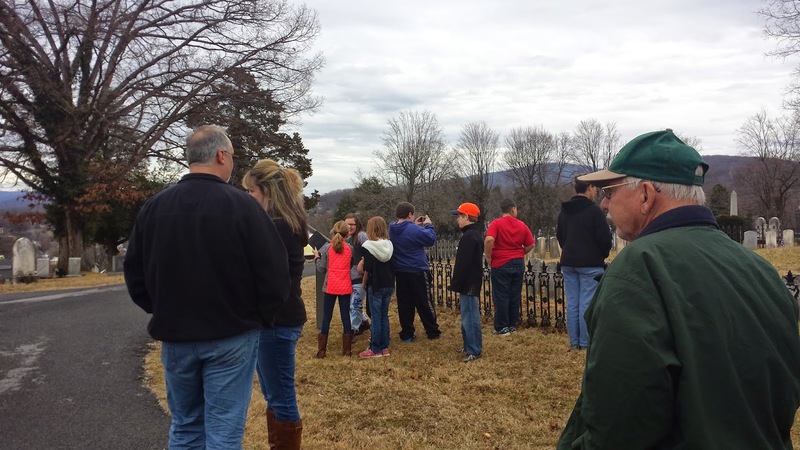 I decided that there was no better way to teach it than let the students experience how the Civil War impacted their hometown. As I said in my HSCN blog post, I am a huge proponent of family involvement. I decided to make this Tour an event on a Saturday. I did this to avoid having to pay for a bus for transport, allow more interaction with parents, and to allow me to focus on being the tour guide rather than being a teacher. I made it clear to the parents that they needed to provide transportation and were in charge of their child for the day. I would not be Mr. B that day; I would be Tour Guide Justin. I partnered with one of my colleagues and opened it up to both classes. I am very thankful that we collaborated on this. I get very carried away with ideas, and she helped to bring me back to the ground and work out the logistics. We developed a permission form, directions in case the parents got lost, and a feedback form. Last year, we had approximately thirty families between the two classes, and this year we had about fifteen. Miraculously, we had beautiful days both years (aside from a little bit of rain on the second trip.) 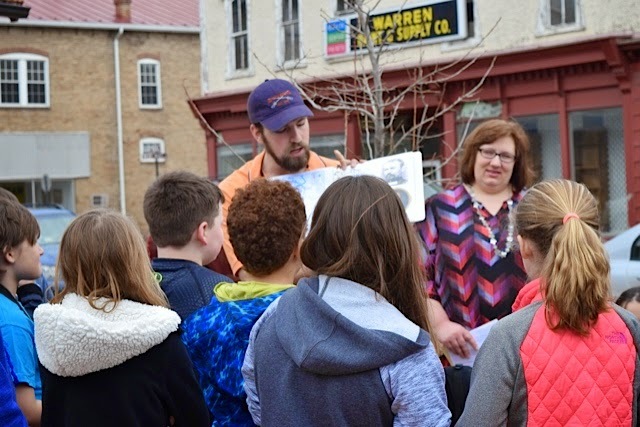 The first year, we visited each stop, read the historical marker, listened to an audio recording, discussed, and drove to the next stop. While I had originally said the tour would take three hours, it took over four hours. So much for not getting carried away! This year, as my co-worker and I reflected and discussed the Tour again, we decided that we were going to make some changes to the Tour. One of the dominant themes of the feedback slips was that the parents and students both enjoyed hearing my words during discussions more than listening to the recordings. We decided to incorporate the feedback. Using Google Drive, I wrote myself a script of what to say, based on additional research I had done and by listening to the audio recordings. You can read the exact script here. Because I felt the reenactors could sometimes better say things than I could, I selected powerful quotes from the audio recordings and condensed it into one file. We also found pictures of key individuals and concepts. At each stop, I gave a grand speech about what had transpired at the spot, interspersed with the audio snippets and had students hold up the pictures. Along the way, I live tweeted with the hashtag #BFRDT and students sent Voxes to some of our Voxer friends. This seemed to increase engagement with both students and parents. The other major change we implemented was the elimination of two stops. While they both were interesting stops, they did not add to the overall understanding of the battle, and one was way out of the way. We felt that removing these would allow the Tour to flow more smoothly and to cut down on time. At the stops that preceded the skipped stops, I told them about what they could see at that spot, and encouraged them to revisit it later. This definitely helped to cut down on time, and the second year I was only fifteen minutes over! The reaction to the Tour was overwhelmingly positive. 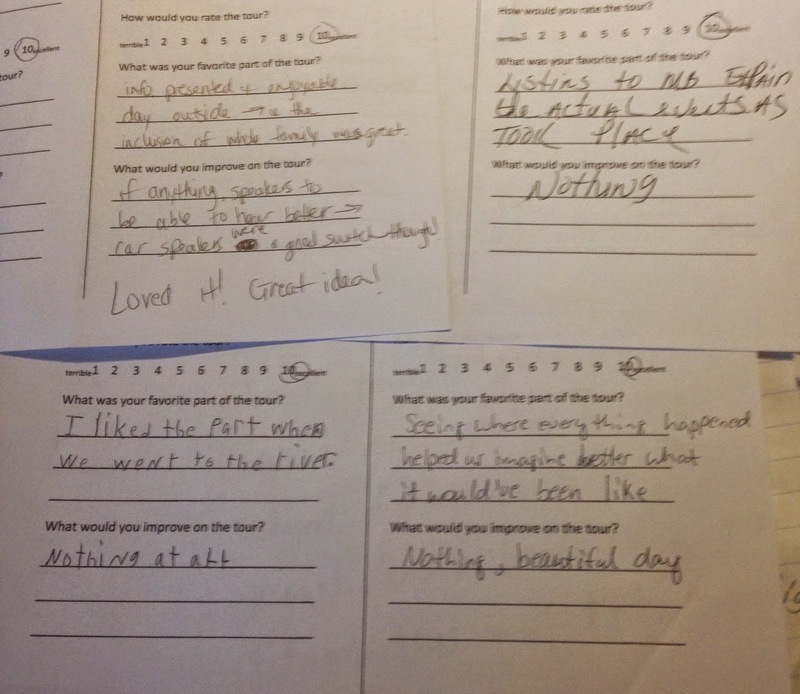 Verbally, on the feedback slips, and through email, students and parents alike said how much they enjoyed the tour. I think the parents enjoyed it, if not more than, the students did. I personally loved being a tour guide for a day. I think it would be a fun job later on in life. Another observation I found interesting was to observe how the students' behavior varied from the classroom when Mr. B was in charge to while their parents were in charge. In my classroom, I run an incredibly tight ship. Students know my expectations and I usually only have one or two students who do not follow these. Many of the students on the tour were like completely different children; running around, throwing things at siblings and friends, yelling, and talking back to parents. It made me see how some students are different at home and made me wonder how the parents were ok with this. Parents will often ask me for advice how I get their students to behave so wonderfully in class and I want to refer back to this day and just politely remind them that if you hold your child to high expectations, they will rise to the occasion. I have lived in Front Royal for my whole life. let alone that there even was a battle. Have you ever done anything like this in your teaching? How did it go? If you haven't, what would you like to do? Leave a reply in the comments below. I open with this quote for a specific reason. Today marks the 47th anniversary of the assassination of MLK. This blog post helps illustrate both this quote and the teachings of MLK. Raise your hand if you learned about segregation in elementary school. Good. Now raise your hand if you were able to fully comprehended the extent of segregation when you were in elementary school. Chances are, some of your hands went down. I was in a student in elementary school in the 90's, and while learned the definition of segregation, I didn't really understand it. Fast forward 12 years, and now I am the teacher in elementary school. According to the Virginia Department of Education, as part of our Reconstruction curriculum, students are to "demonstrate knowledge of the reconstruction of Virginia following the Civil War by identifying the effects of segregation and 'Jim Crow' on life in Virginia for whites, African Americans, and American Indians." Last year, we read the textbook pages about segregation and discrimination, but I sensed that the majority of the students did not fully understand the ramifications of segregation. I teach in a predominantly white school, in an area where segregation is not a problem. The students all treat each other equally, regardless of skin color, and do not seem to care about the difference. Do not get me wrong, this is a great thing. However, I wanted students to understand segregation on a deep level, to deepen their understandings of the content, but also learn not to perpetuate segregation. Over the weekend, I was with my girlfriend and was picking her brain for different ways I could make the content come alive for the students. She had mentioned she had seen a YouTube video about a research study in which a teacher segregated her students based on eye color. You may know this as Jane Elliott's Brown Eye/Blue Eye experience. If not, check it out here. Please be aware that there is some politically incorrect language in the video. The concept behind this was simple: students cannot control the color of their eyes, just like their skin. I saw it as a non-controversial way to illustrate segregation to students who had never experienced segregation first hand. The next day when I arrived at school, I approached my administrators to see if this was okay with them. They fully supported me so I moved forward with my plan. I made "necklaces" out of rope for students and as they entered, I asked the students their eye color. Side note here: I am color blind, so that it why I had to ask them their eye color. If they had brown eyes, I put a necklace on them. If they had blue eyes, they proceeded with their morning work. They asked what the necklaces were for, but I smiled and told them that all would be revealed at morning meeting. Only Mr. B would be doing the segregation. While I would encourage the blue eyes to not interact with the brown eyes, I did not want the students to be mean toward each other. Everything would serve a purpose and we would be discussing it throughout the day. Regardless of how Mr. B acted today, I still cared about them all the same. After they understood the guidelines, I pulled out a whiteboard that had the different requirements for each group. You can see them in the picture. I dismissed them from morning meeting to their seats, and the game was afoot. Instantly, I saw both a brown eyed student (let's call her Jane) and a blue eyed student (let's call him Jake) were talking. To Jane I said, "Jane! Stop talking! You're acting like a typical brown eyed student," and to Jake, "Jake, could you please stop talking. Thank you very much." The students knew that they were in for a long day, but I knew that they would benefit. This continued through the morning. Generally, the blue eyed students had more privileges and kindness given to them, while the other students did not. Before recess, I stopped and debriefed. I asked brown eyes how they were feeling: "Angry, sad, frustrated, like you don't like me." Some brown eyed student cried during the day. When this occurred, I would back off of them and conference with them later. I live tweeted some of their feelings throughout the day; feel free to check them out (@Mr_B_Teacher.) When I asked the blue eyes the same thing, they said they felt fine. Not a single student in the first year said they felt bad for the brown eyes. In the second year, only about one or two of the blue eyed students did. I acknowledged their feelings and said that to be fair, I would give both groups a pop quiz before recess. This was to represent a poll test before voting during Reconstruction. I passed out the tests, which are pictured here. You can easily see they were not equal. I am not even sure if the brown eyed one is solvable. Let me know in the comments below! This continued for the entire day. We debriefed, discussed why things were happening, and how they were feeling. The brown eyes were becoming more and more frustrated, and their work also suffered. One student who usually read 135 wpm only read about 100 wpm on this day. At the end of the day, I told the brown eyes their segregation experience was over... and it would begin for the blue eyed students the next day. The looks on both group's faces were priceless. One major lesson I learned in the first year was that I should have let the parents know what I was doing ahead of time. I let them know part way through the day, and one parent became very agitated. After exchanging some emails, I called them on the phone. They had misunderstood what I was doing, but after talking with them, they calmed down. Still, they didn't wish for their student to participate in the second day of the experience, so I arranged for her to do independent work in another classroom, which ironically "segregated" her from our class. Needless to say, I let the parents know well in advance this year and gave them they ability to opt out. No parents opted out this year, and the majority of parents in both years were very supportive of this. This year, I had two major advantages that I did not have last year. First, I asked two of my former students to come and speak with my current class about it. They reflected lots of what the current class was feeling. Out of my own curiosity, I asked them what were their top 5 memories from VA Studies last year. Both immediately responded with "Segregation Day," and had a hard time identifying anything else. These were two students who "pass advanced" their VA Studies SOL. This stuck with me. Obviously, this experience stuck with them, while other concepts had been lost. It goes to show that teaching about character will outlast much of the content we teach. I would much rather my students remember how they were treated than remember what year the Virginia Assembly began. Secondly, after the events of last year, I had emailed Jane Elliott. I wasn't even sure if she was still alive, and was certainly not expecting a response. I was pleasantly surprised. She thought it was a great thing that I continued her teachings, and offered to Skype with my class. By that point, it was too late in the year, but I contacted her again a few weeks ago. 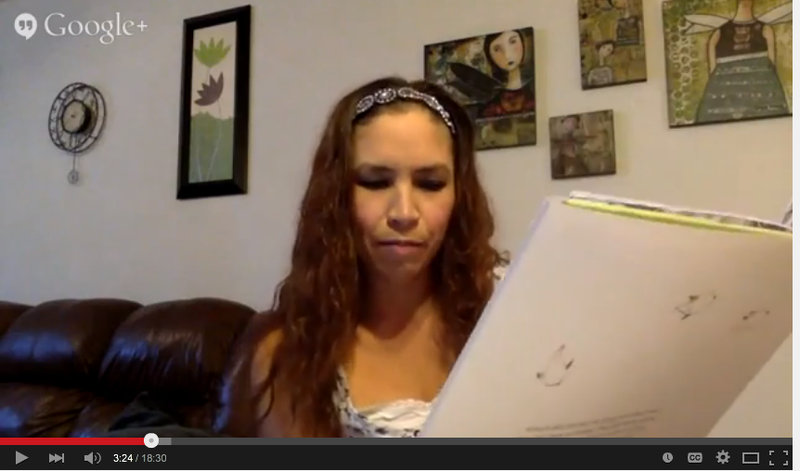 She was willing to Skype with my current students on Thursday, April 2, 2015. Ms. Elliott was very passionate about what she had to say, and although she sometimes went a little above the students' understanding, the students were engaged with her anecdotes. One important lesson that she brought up was that I did not physically force any student to go along with my plan, nor did any student speak out about it. The blue eyes and the brown eyes both found that it was easier to do what I said, just because I was in charge. I think this opened their eyes to realize that "The Man" is not always right. (I'm hoping this doesn't blow up in my face!) I personally learned a lot from her, including her inspiration behind the experience and how her family was ostracized for her actions. She reinforced what I was trying to teach them: My students were going to be better people through experiencing this lesson. "You experienced 'segregation' in a minor way in a controlled environment for 7 hours. I did not physically harm you and you knew it was ending at the end of the day. Imagine living even worse than that every single day for your entire life." I would love to discuss this with anyone further. Let me know your thoughts in the comments below!